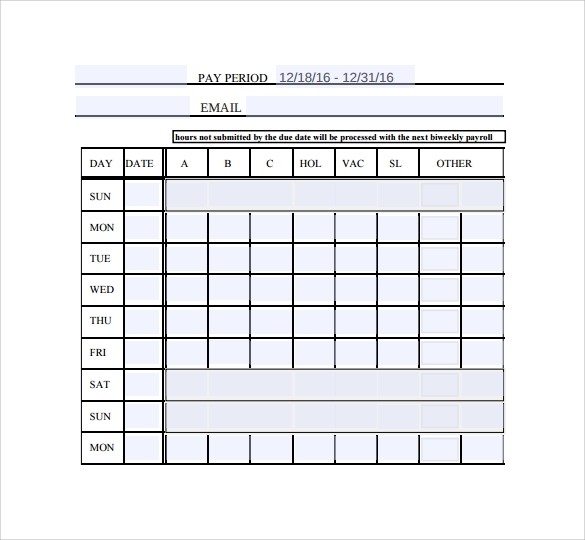 Biweekly timesheet records the number of work hours spent by a person in a job or work, this kind of timesheet is commonly used in having the payment of salaries of employees who have their pay day every two week; the spreadsheet Monthly Timesheet Calculator tool that makes the payroll processing much quicker and accurate as today computer based timesheet card sets the working hours of an employee in computerized data. 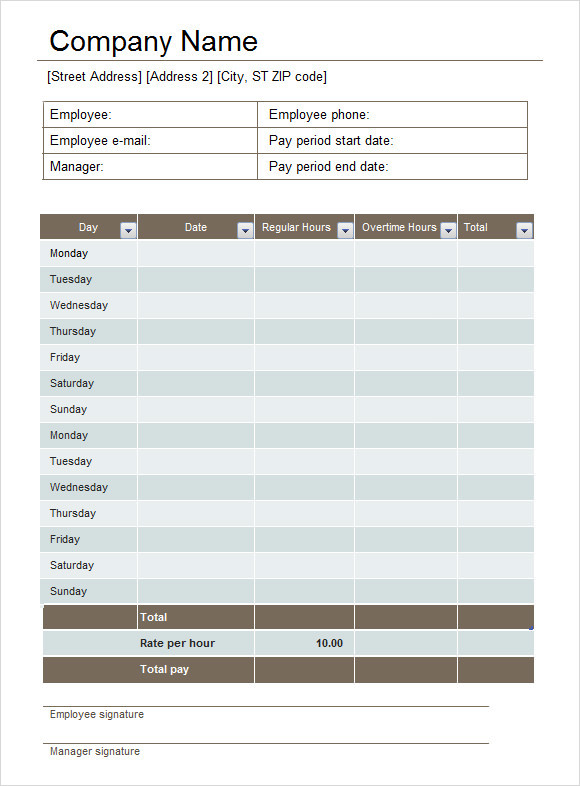 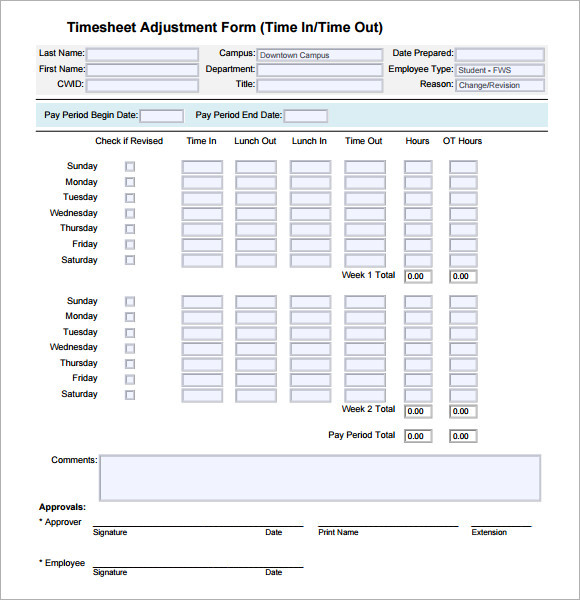 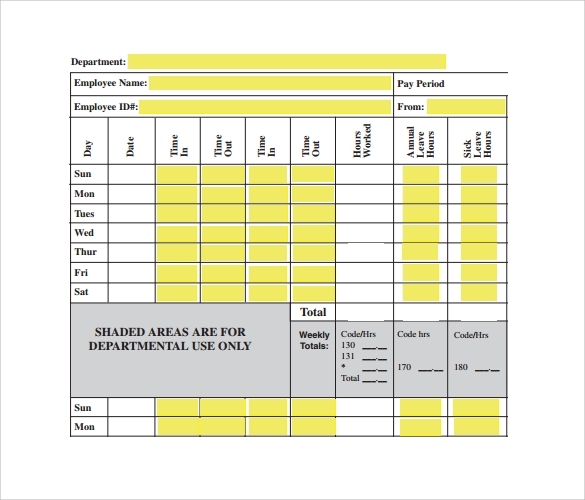 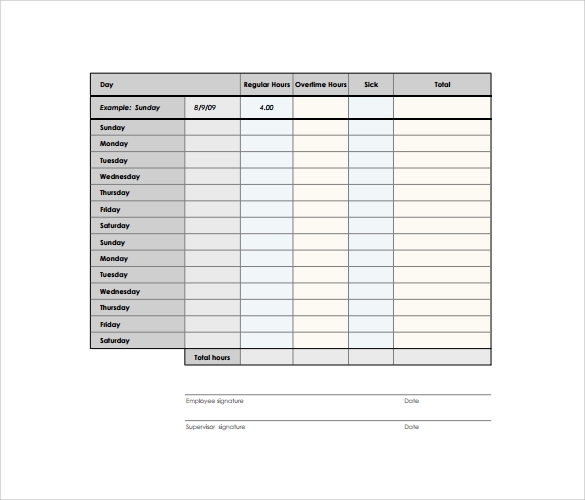 The example template is downloadable or you can have the worksheet you need to enter the date every day and compute the total amount of time spent for the whole two weeks. 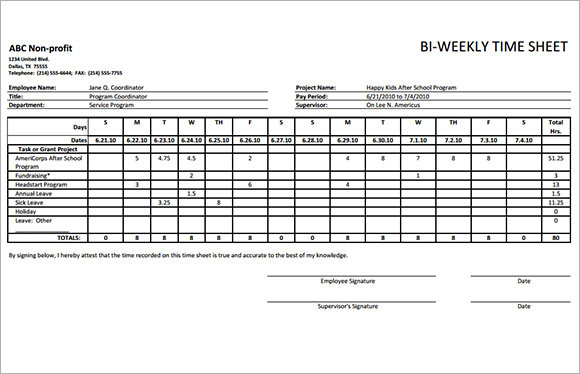 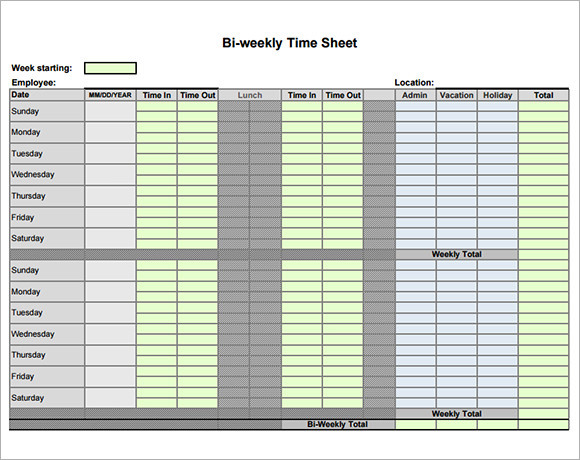 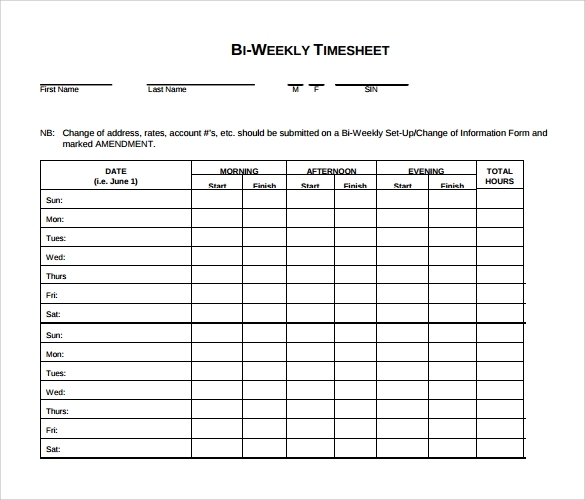 Biweekly time sheet template can breakdown any accomplished task and the time consumed for it in two working weeks.